When in doubt, recycle it! Did you know the average teacher spends more than $900 a year of his or her own money for supplies to help teach your children in school? It's an often overlooked issue, but one business supply giant is stepping up and helping create a new lesson in the process. It's called Recycling Rules. Students give, and, in turn, they receive, all while learning to go green. Office Depot launched a program nationwide to help teachers purchase school supplies. "A lot of times we get kids that don't have materials and parents can't afford, so I’m able to give," said Parkway Middle teacher Yolanda Garcia. Students fill up boxes with old electronics and ink cartridges. "It's just sitting in my room, so I brought it in to recycle. 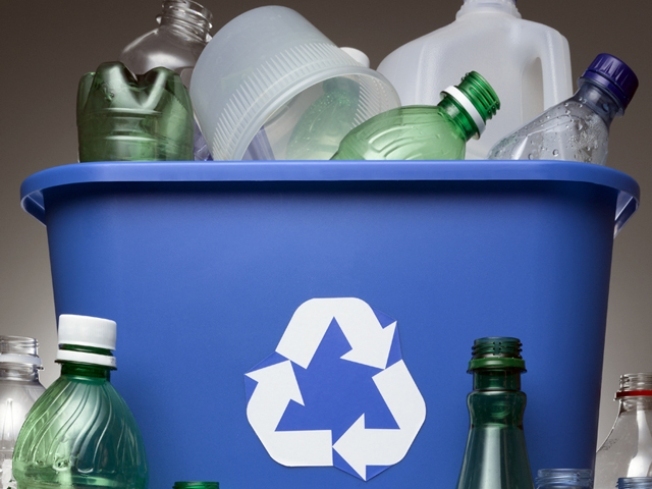 Recycling can make a better environment,” said 6th grader Michael Harley. Then they mail it to Office Depot free of charge. After that, the company sends the teacher a gift card to shop away. What's more, the students are learning a lesson in saving the environment. "In the cafeteria our teacher tells us to collect the milk cartons so we can plant trees inside of them. We get dirt and seeds and we put it out here and we let it grow," said 6th grader Lakeisha Desroches. It’s a message that sticks. These students are taking what they're learning here and applying it outside of the classroom. "I walk to school and I see a lot of people littering, so I thought it would be better to help it rather than kill the environment. We walked around the house and the neighborhood, we picked up trash and put it in our recycling bin," said 6th grader Domonique Honyghan. The students even created a catchy song to help them sing their way to a better environment. Teachers, students, even parents can sign up their school to participate. Office Depot then sends the school boxes to fill. Schools mail the boxes back free of charge and Office Depot handles the rest.